In today’s ultra-connected world, consumers expect seamless customer service, and on their terms. 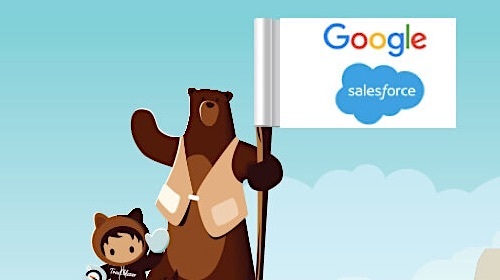 For years Salesforce customers have relied on the Service Cloud to help them surpass these expectations and deliver the best possible service experience. 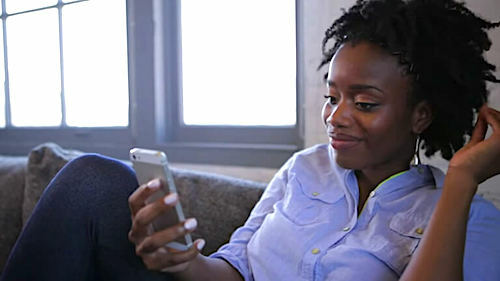 Whether it’s from a mobile device or via social networks, call centers, or company websites, Service Cloud is transforming the way companies connect with customers across any device and channel. As the pace of business accelerates and as volume of customer data grows, service agents need to be able to quickly discover insight on their customers and their challenges-- something legacy systems just can’t deliver. 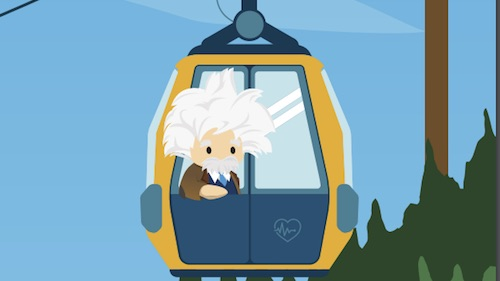 Enter Service Wave Analytics App, the first native analytics app for Salesforce users that combines the trusted power of Service Cloud with valuable insight from Wave Analytics Platform. Native to Service Cloud: Service Wave Analytics puts all the critical customer information a service agent or manager needs, such as call logs, chat history, CTI data, and web clicks, right at their fingertips, and on any device. And with customizable dashboards and lenses, teams can go further by exploring this data alongside traditional performance metrics. No more sorting through complicated, static spreadsheets, waiting on analysts or toggling between tools, everything a service team need is organized in user-friendly, interactive dashboards. Smarter Service Managers: With Wave Accelerator Templates, Service Cloud data is automatically pre-configured so teams are up and running in a matter of minutes, allowing managers to diagnose problems, alleviate bottlenecks and preventatively re-allocate service resources. Now, managers have a central look into each agent’s performance metrics such as handling time, customer satisfaction, and first call resolution, and can easily cross reference it with service cases across products to improve case management, agent efficiency and channel optimization. Faster Service Agents: Service Wave visualizations embedded in the Lightning Console allow agents to review a case alongside traditional customer and case history data as well as Wave insights on similar cases, giving them instant insight and a 360 degree view of the customer. Once an agent has uncovered an insight, Service Wave Actions seamlessly connects to Service Cloud workflows and records so that agents can instantly assign a task, escalate a case, update a ticket, or share best practices all within the point of analysis. Agents can also track their performance on a scorecard in comparison to their peers in real-time and identify top performers who can share best practices to help them improve. We’re excited to further extend the power of the Wave Analytics Platform to service teams from every size company. 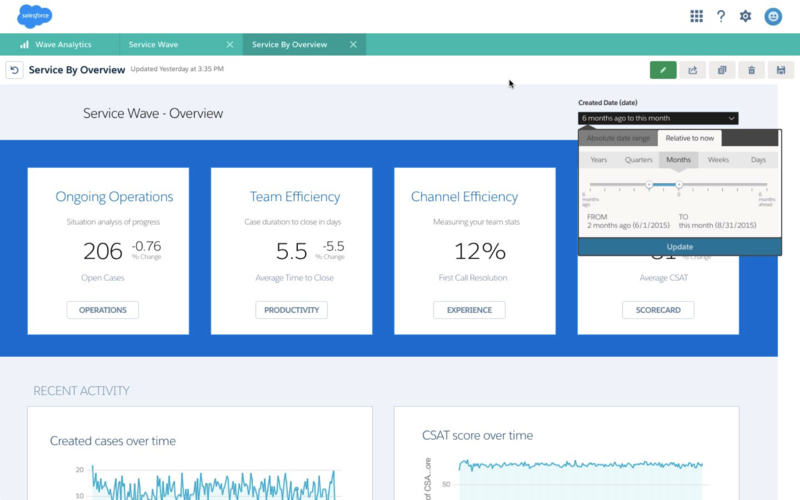 Check out a demo, or watch the video below to see first-hand how Service Wave Analytics can give your service team a competitive edge.